The first coupling rod and the Brassmasters’ fret. A little bit of time allowed for some progress on a long term workbench resident. The original rods on this Hornby example are being replaced with the delightful etch from Brassmasters. The nearly completed rods, showing how they are articulated. The rods which Hornby supply are actually rather nice but in the interests of consistency between all the 08s in the fleet, I’ll be using the Brassmasters rods on all of mine. The etch is lovely – it’s nickel silver which is nicer to work with than brass. It’s multi-layered and uses three layers for the main rods (most kits use just two) to give the correct thickness, plus extra overlays for the bosses. They are articulated (hinged) which puts less stress on components and isn’t as complicated as one might imagine, certainly not when the etch is as nicely designed as this. And it’s properly done too, on a proper hinged joint, not round the centre crankpin! An hour’s work will get the rods assembled – cleaning up takes longer but the more care taken in finishing, the better the result. Smoothing the edges will help make the rods look like heavy metal forgings rather than layers of thin material. Careful work with different files will be repaid. And one rod loosely in place. I temporarily place one set of rods on 08405 to show how they should look – the rods need to be opened up to be a running fit on the crankpin bushes. So a few more bits to sort but this is the last major part of this particular loco. Looking though my Dad’s copy of the latest Railway Modeller and I noticed a lovely article by Craig Tiley – the third part of a series about using Peco’s new Bullhead trackwork. Aside from the type of track, it’s a superb article on painting, ballasting and weathering track. It’s a real gem! Miniature Railway and Full Size Signals! Over the weekend we headed to a miniature railway in deepest, darkest Lincolnshire which belongs to a friend and fellow railwayman. It is a beautiful piece of work – it nestles in the garden among a wide variety of full size signals. Whilst we’re not building a miniature railway, it is quite relevant to model railways in the way it’s operated. It terms of track layout, it’s quite simple, end to end with a loop at either end. This could be quite full I suppose but it’s all properly signalled by Electric Token Block. A signal box at either end of the line houses a token machine – a mix of lever frame and panels control the signals. Seeing drivers collect and give up tokens is great! This combined with the signalling makes it feel ‘real’ and not a model in any form whatsoever. In time this can allow up to three trains to operate in perfect safety. It also gives a wonderful sense of purpose to the whole operation and makes it feel like a ‘real’ railway. It shows that if we look to the real thing, we can make a relatively simple layout interesting and purposeful quite easily. We won’t all have token machines for our railways but we can observe and see how the real thing operates and there is a lot we can learn. I know we often see responses to suggestions of following the prototype closely of “rivet counter” and “it’s a hobby, it’s supposed to be fun” but, I’ll tell you what, running a railway like this, is great fun! At one time adding pipework to buffer beams all of sudden turned an older Lima or Hornby diesel into something ‘super detailed.’ There we all sorts of kits of pipe work and buffer beam details – from A1 Models, Craftsman and Westward in particular. Some parts were good, some were shocking! All pipework in place and buffer heads ready for fitting. When I was starting out detailing diesels, twenty years ago, these lumpy, white metal pipes seemed to me that I’d really achieved something but now I the pipework seems to just be one of those little finishing off items. I now regard things like windows, glazing, body shape and other details as being more of a priority when it comes to capturing the feel of the prototype. But as with the couplings, sometimes it’s the little things which can really make it. So whilst not one of the big items now, I still like to take a bit of care with this area. The first pipes in place – the air pipes come from the detail pack from Hornby’s Class 56. The cantrail stripe transfer needs a little bit of attention above the windscreens! I’d say, don’t use white metal pipes – they break far too easily and it’ll just lead to frustration! The only exception to this rule, there’s always an exception, is Shawplan’s steam heat pipes. These have a little more bulk and are much more durable. However, by 1992, they’re not needed for 47206. At one time I made all my pipes from wire. There was a two part article in Rail Express, I can’t recall which issues, where someone was converting the Lima Deltic to scale length using Plastikard inserts, rather than the rather crude A1 Models overlays, along with Lima class 37 bogies. Really lovely article, very good modelling. The second part described using wire to scratch build buffer beam pipes. It obviously struck a chord with me. It makes for very durable pipes which will survive the odd little knock here and there. However, in Rail Express no. 98 July 2004 (in the Rail Express Modeller before it became a supplement on its own) Gareth Bayer detailed a Bachmann Class 44 – I seem to remember the use of pipes from Hornby’s class 50, the detailing packs supplied with the model being available separately. Being made from a tough plastic, they withstand knocks very easily and are pretty much to scale. Possibly a little thin, but a massive improvement over the pipes that Bachmann were supplying at the time. In time Hornby offered other models to the same specification as the class 50 with their own bespoke packs. If you’re modelling a class 47, the class 56 pack is very useful – the pipes are more detailed than the original class 50 pipes and supply, with spares, all you need for the class 47, aside form the vacuum pipe. Finished buffer beams in place. Those ploughs need toning down though! I made the vacuum pipes from a core of 30amp fuse wire (0,9mm handrail wire works just as well) with 5amp wrapped around to represent the ribbing. This is flooded with solder with makes an indestructible pipe! In this case I didn’t make the bracket/hanger which the end of the pipe sits on as it would be hidden by the snow ploughs – instead it tucks in behind the outer plough. The buffer heads are taken from a Bachmann class 20 – one of the ones with those horrible, integral round head buffers. These should be the stepped shank Oleo type, so will be replaced with the new Sutton buffers. This left me with spare buffer heads, which were just perfect for 47206 – the Heljan buffer housings needed opening out ever so slightly to take them. I polished the shanks to mimic the polished shanks you see on real Oleo buffers of this type, the result is very pleasing. The buffer beam units will be fixed permanently in place once the final detail has been completed on the rest of the chassis to avoid damaging things. So another step closer for 47206, think it’s only taken a couple of years to get to this stage! GNR Chair at Barnetby in the mid-nineties. There are some articles which seem to mark real milestones in the development of the hobby or are personal turning points for our own pursuit of the hobby. This was one such article I think – on both counts. Among my cool and sophisticated friends (you know I move in such circles…) is a core who have been pushing the cause of modelling the post steam era railway to increasingly higher standards. Have a look in the links section to see some of their work. Now, there’s nothing wrong with pushing for higher standards – it is not elitist to want to push for higher standards, it is not rivet counting to want to make accurate models. It’s just how some of us choose to do things. And this article was perhaps the article which swayed me in this direction. 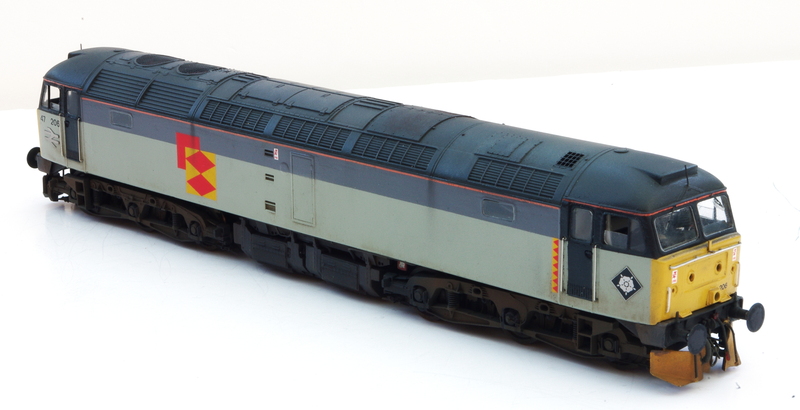 Tim Shackleton took a Lima Class 60, a good yet basic model, and turned it into something very special which looked like the real thing and, presumably, ran beautifully with its Dyna-Drive derived drive train. It’s from 1999 (doesn’t seem like nearly twenty years!) and came just as I was trying to push my own standards higher. I built two class 60s along these exact lines (mechanism aside), the second was much better than the first though! 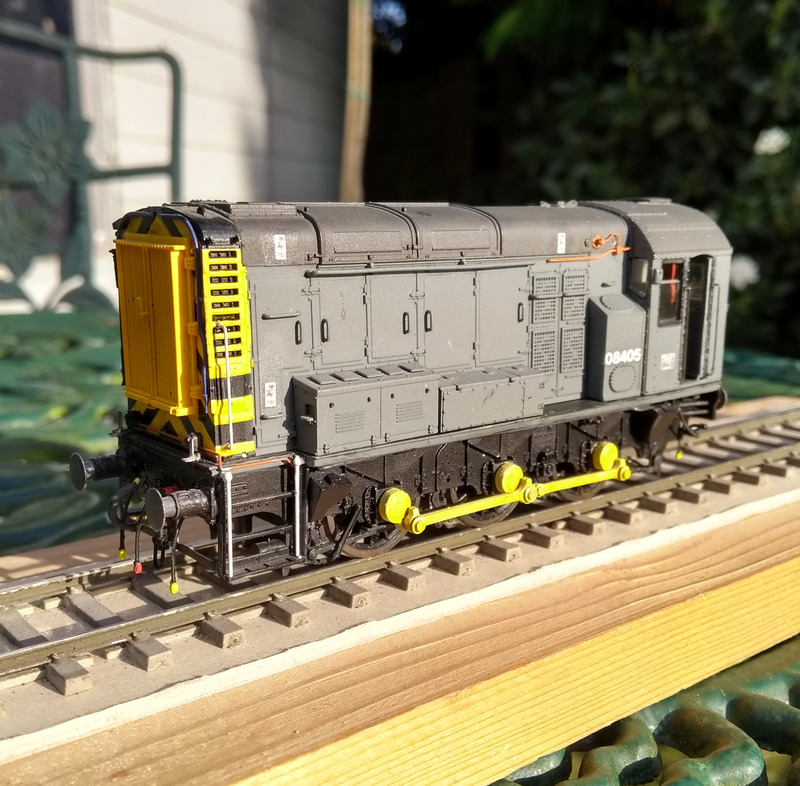 I like Tim’s approach to modelling diesels – he wrote a number of excellent articles for Model Railway Journal about some quite involved diesel projects and conversions. And I got a copy of this not long afterwards – attempting various projects in a similar vein. I bought James S a copy because, despite dating from 1996, the techniques, philosophy and processes still hold their own today. In fact I think that those of us who seriously modify ready to run products are still very much in the minority. But these projects are great fun! 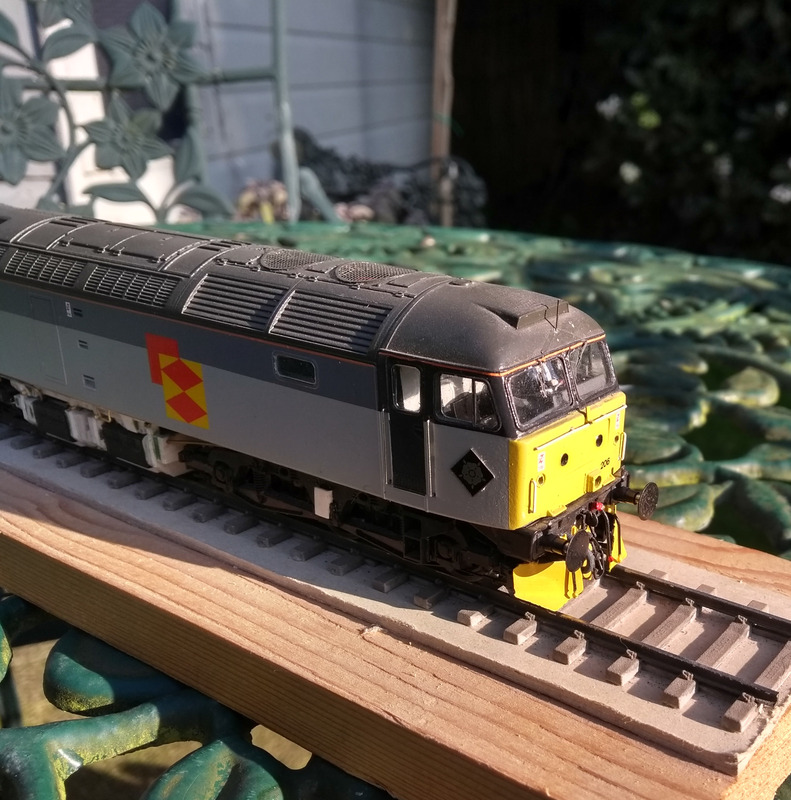 I actually have a spare Lima class 60 in a box at my oldies’ house – repeating this project is very tempting. Should I or shouldn’t I?! It’s the little things which can make a big difference. Incidentally this is a good statement to make in some more personal situations too if you’re feeling a little inadequate too. Before and After – as supplied on the left and assembled on the right. Couplings on locomotives are a good example of this – a small detail but get it right and the whole is much better for it. In fact you’re likely to notice a horrible, chunky, overscale screw coupling than a nicely proportioned one. I wince when I see a beautiful, kit built loco which has had a set of those massive Romford screw couplings. They look appalling in 4mm scale – though, in S Scale, the look pretty good! Personally I really like the lost wax, cast brass couplings from Alan Gibson. 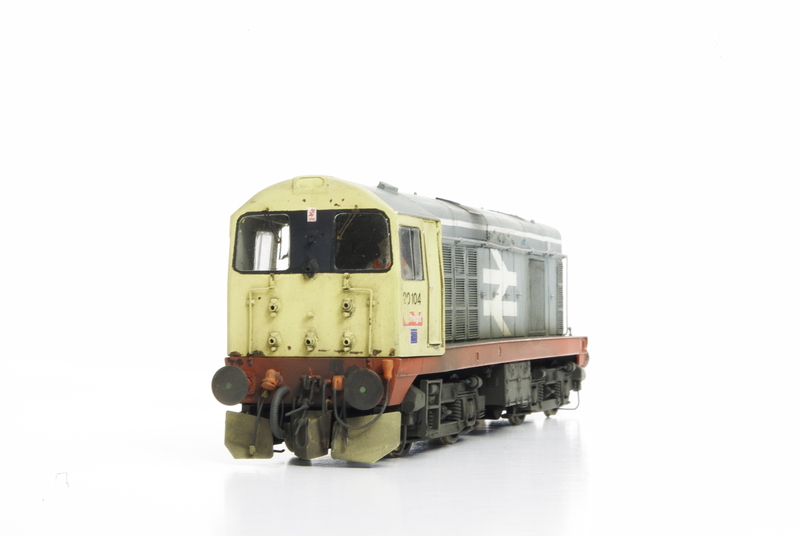 They look superb and the ‘Heavy Duty’ type is perfect for most mainline diesel classes. These are best regarded as cosmetic though – not a problem as we’ll be using Spratt & Winkle couplings. You can make these work, but the hooks are very much to scale and, as such, operation will be very fiddly and awkward. If you want fine but working couplings then the Masokits screw coupling is a very good option. Paul Marshall-Potter has written a great guide to assembling these and using them. Two couplings in the raw – the broach is used for opening up the holes just enough to allow movement. The coupling comes as a brass sprue from which the individual components must be removed. Before this though, the holes in the links need to be drilled out to 0,5mm diameter – this matches the size of the pins on the centre section. There’s more than one way to remove the individual pieces – you could use a slitting disc in a mini-drill if you were confident, but there’s little room for error (guess how I know this!). Side cutters also work but leave you with a good deal of cleaning up as you can’t cut too close without risking deforming the parts. My now preferred method now is to use a piercing saw to cut the parts off. You can a lot of control and can get very close to the parts leaving very little cleaning up required. Once you’re happy with the appearance of the parts, the holes need to be opened up to a running fit on their pins. Using a small cutting broach the holes need only a tiny amount of material removing. A pair assembled and blackened. Assembling should now be quite straightforward – small pliers will allow you to bend parts slightly to fit and then align everything. The links only need a slight tweak to allow them to fit on the centre section. One both links are in place the top link needs to be ‘popped’ into place through the top slot in the coupling hook. Fine nose pliers are a good way of doing this. If you’ve done this before, it may sound daunting but the cast brass has a bit of flexibility and as long as you don’t keep doing it, it won’t adversely affect the pieces. Once the couplings are together I blacken them in Birchward Casey ‘Super Blue’ gun blue which works very well on brass. Within a few seconds the appearance will darken and within thirty seconds they are ready. The Super Blue gives the brass a lovely dull finish, but if you gently rub either a finger or cotton bud over the surface it’ll buff to give a wonderful oily sheen. Couplings installed on 47206’s buffer beam units – the loco can be seen in the background. As these are purely cosmetic I simply glued the shank of the coupling hook in place – when I have used them in the past functionally I have pinned them in place, having drilled a hole in the shank for this purpose. It takes between half an hour and an hour to assemble a pair – it depends how confident you are or whether or not you have done a pair before. And once you’ve done one, the next is much easier! I think they are well worth the effort – the photo of them fitted to 20104, below, shows the final appearance. Another set of couplings installed on 20104 – I think they look rather good! 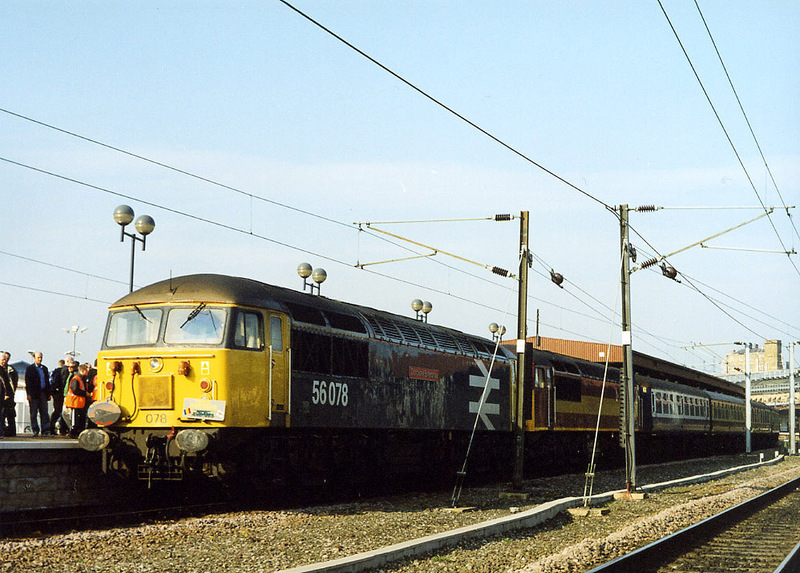 Class 56, 56031, passing Barnetby with empty steel wagons sometime in the early 1990s. Photo by Malcolm Wells. Sun, ‘proper’ traction and semaphores in North Lincolnshire!